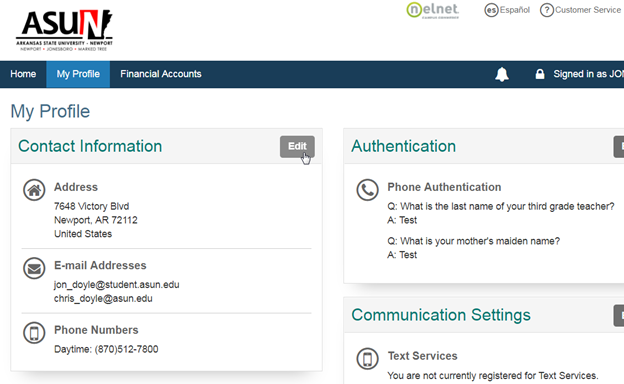 First, log into https://MyCampus.asun.edu using your ASU-Newport account. Then select the NelNet link located on your dashboard. Once you have landed on the NelNet Dashboard please verify your account by selecting “My Profile” in the main menu. 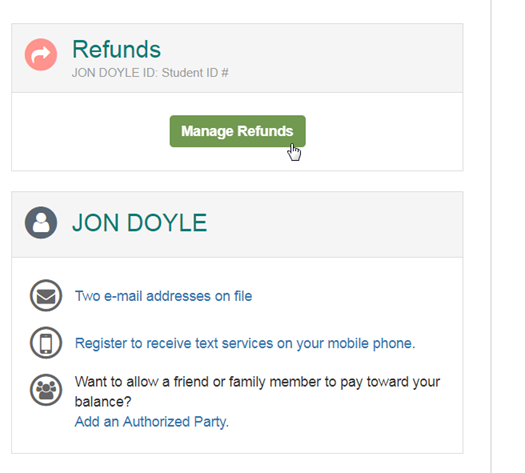 Here, if you have already linked your account, you will be able to see your account to verify your information. If you see an error or an old account, select the remove option then add the correct on in. If you see anything that looks incorrect, please contact our Student Accounts at studentaccounts@asun.edu to resolve this issue immediately.